At this point, you'll once again need to transfer your knitting to your other needle, in order to work from the color B tail. The color A tail can also be clipped, since you're done with it for now. 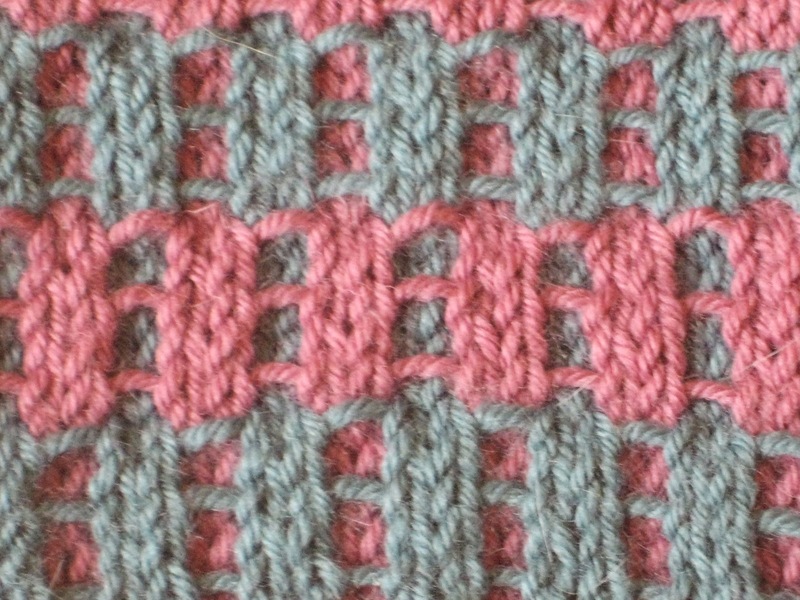 Repeat the same process on the other side, with the other color. 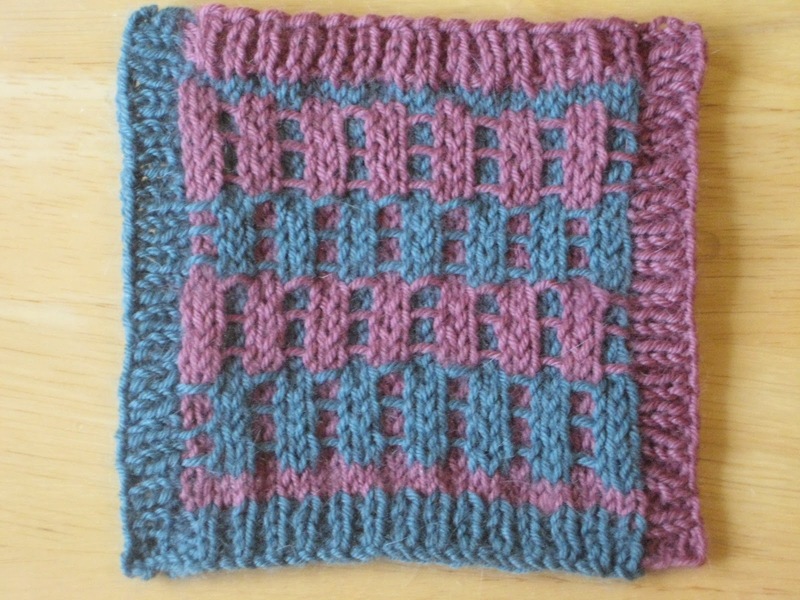 Tuck in ends and block. Oh, and make some more coasters, if you're expecting company. 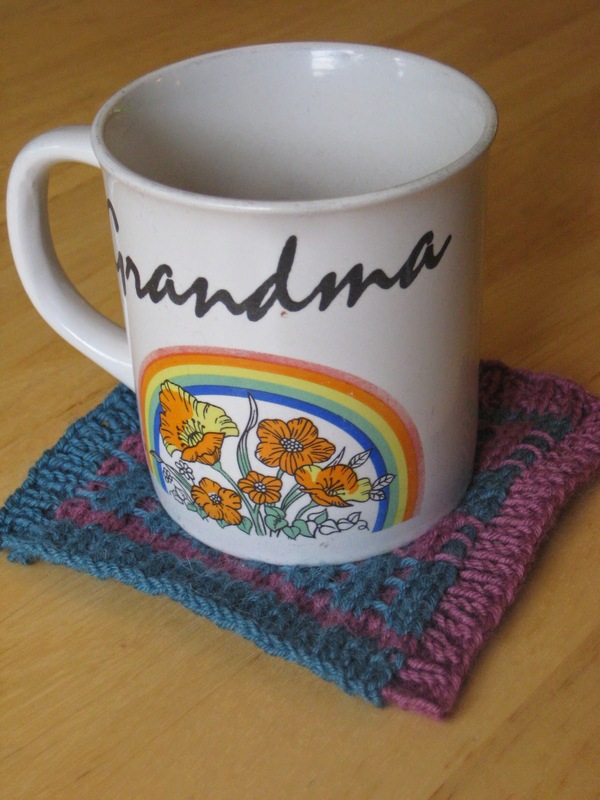 Proof your new coasters will support the weight of even your kitschiest mug. I can only imagine how hard it is to knit with a new baby! 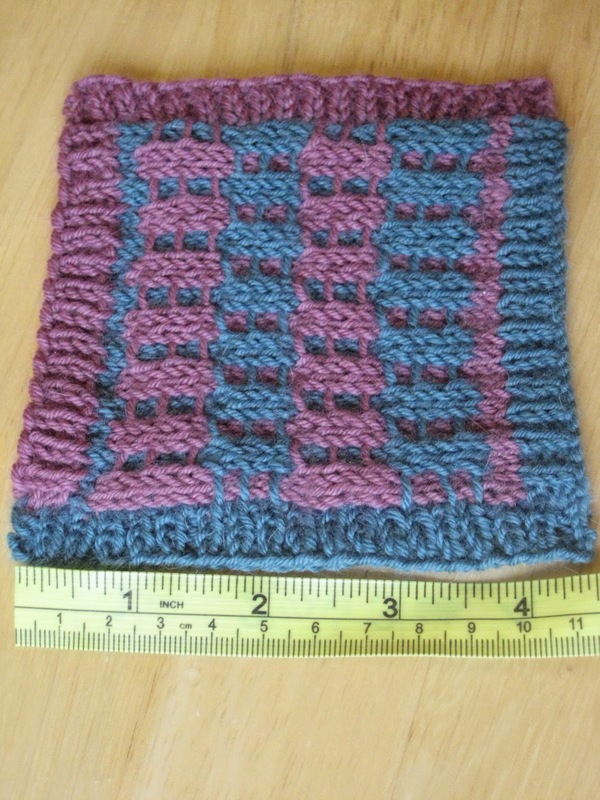 This turned out really cute tho - and it is a good size for a coffee mug.... A few years ago, I knitted some coasters for my sister and then felted them... They turned out pretty good!